In October 2017, aged 22, Matilda won the Eric Aubier International Trumpet Competition in Rouen, France. This followed a series of successes including winning both the BBC Radio 2 Young Brass Award and the BBC Young Musician of the Year Brass Final in 2014. Matilda gave her BBC Proms Solo debut in July 2016, performing at the Royal Albert Hall with the BBC Philharmonic and Alpesh Chauhan, and she also played live on BBC Radio 3’s In Tune Proms Special and BBC 4’s Women’s Hour. Matilda was delighted to be chosen to replace Tine Thing Helseth for a concert with the Manchester Camerata and Jessica Cottis at the Royal Northern College of Music to celebrate International Women’s Day in March 2018. Matilda will release her debut album Direct Message on the Orchid Classics Label in October 2018, featuring 20th and 21st century works for trumpet and piano with pianist John Reid. Captivating audiences with her musical maturity and energy on stage, Matilda regularly performs with leading orchestras such as the BBC Concert Orchestra (for BBC Radio 2’s Friday Night is Music Night), the London Mozart Players and the Orchestre de l’Opéra de Rouen, with whom she will be making her international debut performances on tour in France in Spring 2019. She also gives regular recitals throughout the UK at prestigious venues and festivals. In May 2018 Matilda received a Hattori Foundation Senior Award and a Worshipful Company of Musicians’ Postgraduate Award. As a Park Lane Group Young Artist, Matilda has performed in prestigious London venues such as St. John’s Smith Square, St. Martin-in-the-Fields and St. James’ Piccadilly, and she will make her Wigmore Hall debut in their recital series in July 2018. Matilda was recently selected as a Hattori Foundation Artist in June 2018, and she is also a Making Music UK’s Philip and Dorothy Green Young Artist and a Concordia Foundation Artist. She was also awarded the Philharmonia’s Martin Musical Scholarship Fund Sidney Perry Brass Award in 2016. Matilda has performed as a soloist with the London Mozart Players and will appear at the Ryedale Festival this summer. Alongside her success as a soloist, Matilda has gained much recognition as an orchestral player. Matilda was the Principal Trumpet of the European Union Youth Orchestra in both 2016 and 2017, touring Europe under Bernard Haitink, Gianandrea Noseda and Vasily Petrenko. Prior to this, Matilda held the position of Principal Trumpet of the National Youth Orchestra of Great Britain from 2012-14, working with Ed Gardner and receiving complimentary reviews in the press for her First Trumpet part in Mahler’s Fifth Symphony at the Barbican in January 2014. Matilda has also in the Academy of St. Martin-in-the-Fields orchestra in September 2016 for Classic FM Live at the Royal Albert Hall and joined the Philharmonia Orchestra on tour to Klosters in December of the same year. Matilda is also a keen chamber musician. She has led the EUYO Brass Quintet at prestigious engagements such as the opening of the EU Residency Building in Amsterdam and at the Austrian Embassy in London, and the EUYO Brass Dectet in various venues around Europe. 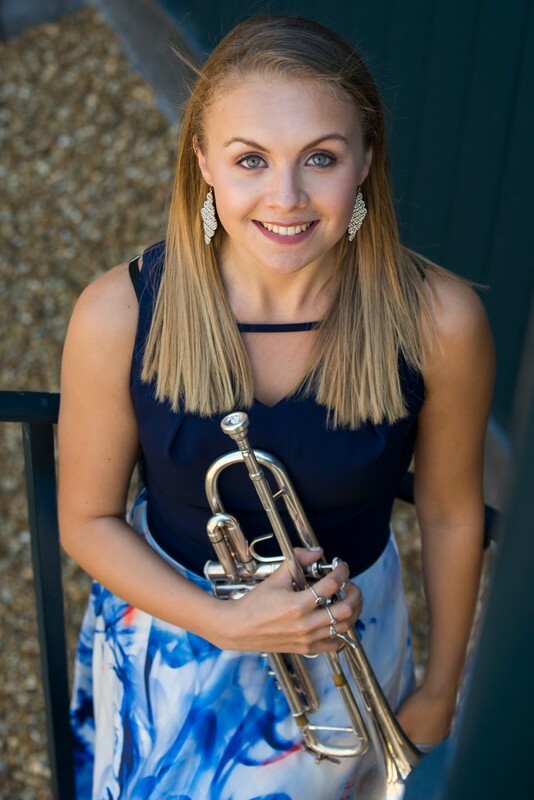 She is a founding member of the Ibex Brass Dectet and the Ramiel Brass Quintet at the Royal Academy of Music, and was the lead trumpet of the Cambridge University Trumpet Ensemble for three years whilst studying at Cambridge. Matilda graduated with a First Class degree in Music from Trinity College, Cambridge University in June 2017 and is currently continuing her studies with a Masters degree at the Royal Academy of Music, London. While studying at the Academy with Mark David, Matilda also receives tuition from world-class trumpet soloists. She participated in a week of masterclasses with Håkan Hardenberger as a Britten Pears Young Artist, sponsored by the Royal Warrant Holders Association Alan Britten Bursary, and has participated in masterclasses with Éric Aubier, Jeroen Berwaerts and Wim van Hasselt. Pianist Leo Nicholson specialises in chamber music and song accompaniment. In 2018 Leo was a Leeds Lieder Young Artist, and in 2016 he received the Accompanist Prize at the Maureen Lehane Vocal Awards, accompanying his cousin, bass-baritone Sam Carl. In 2010 he formed a flute and piano duo with Rosanna Ter-Berg, and their critically acclaimed Purcell Room début (under the auspices of the Park Lane Group) in January 2012 led to performances at the Wigmore Hall and the Bridgewater Hall. Leo also works with saxophonist Anthony Brown, who he met through the Worshipful Company of Musicians, and they have since played together all over the country. Leo Nicholson studied at the Purcell School, the Junior Royal Northern College of Music, and with Douglas Finch and the late Yonty Solomon at Trinity Laban, and is currently studying accompaniment at RAM. At Trinity, he won the Beethoven, Chopin, Academic and Keyboard Faculty prizes along with a Silver Medal from the Worshipful Company of Musicians. 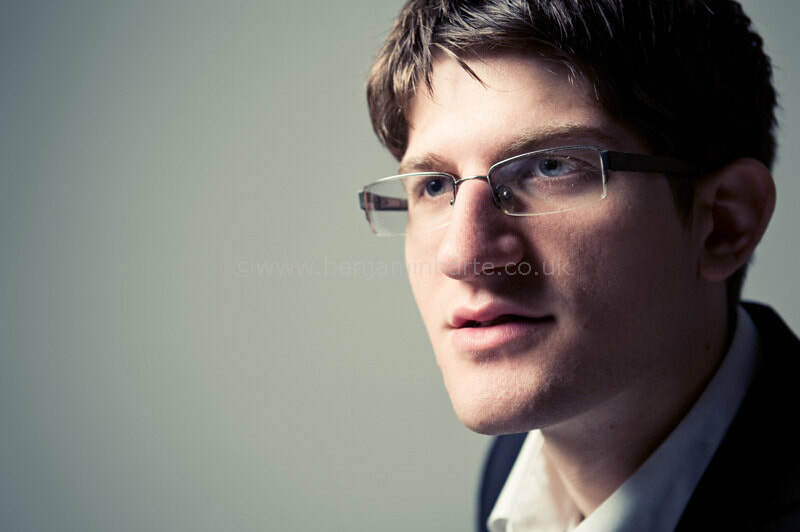 Leo has performed at many of the country’s major venues (including Wigmore Hall, Purcell Room, Kings Place and the Bridgewater Hall) and over thirty music societies as a soloist and with others. He also works in theatre, opera and with six-piano group Piano Circus.